Viknesh Vijayenthiran December 7, 2017 Comment Now! 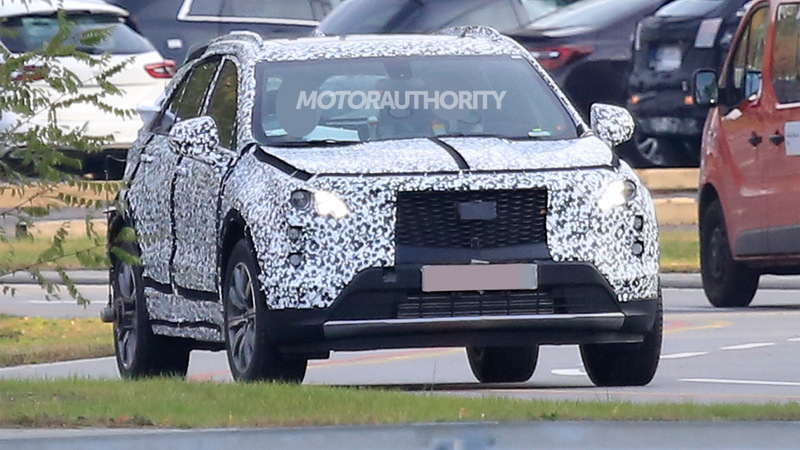 Cadillac’s rival to the Audi Q3, BMW X1 and Mercedes-Benz GLA premium compact crossover SUVs has been spotted again. 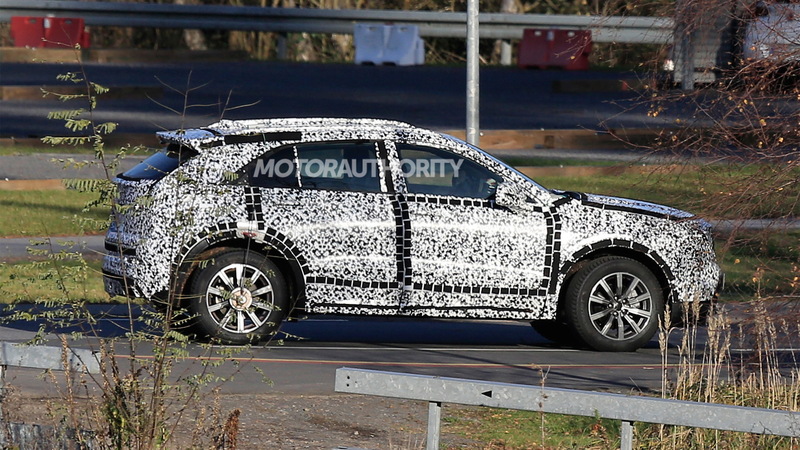 The vehicle is confirmed to be called an XT4 and is due on sale in the second half of 2018, as a 2019 model. 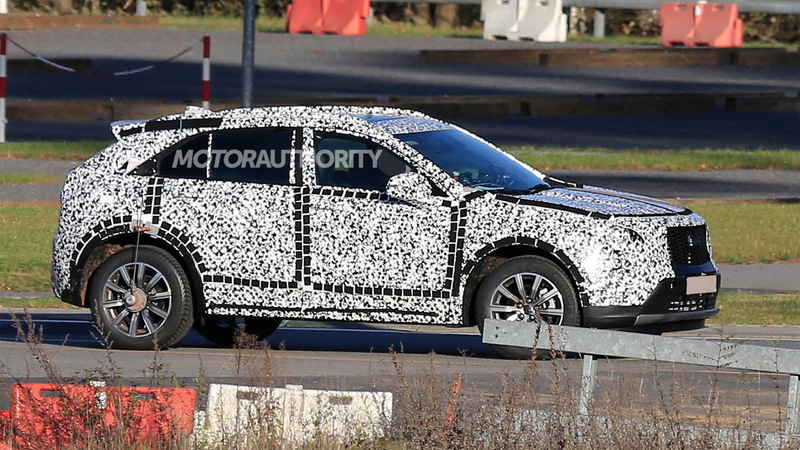 The prototype is heavily disguised but the general shape is similar to Cadillac’s XT5, albeit on a smaller scale. The C-pillar treatment and design of the lower part of the rear fascia and exhaust tips are also identical to what we see on the XT5. The vehicle was first hinted at by Cadillac boss Johan de Nysschen in 2015. 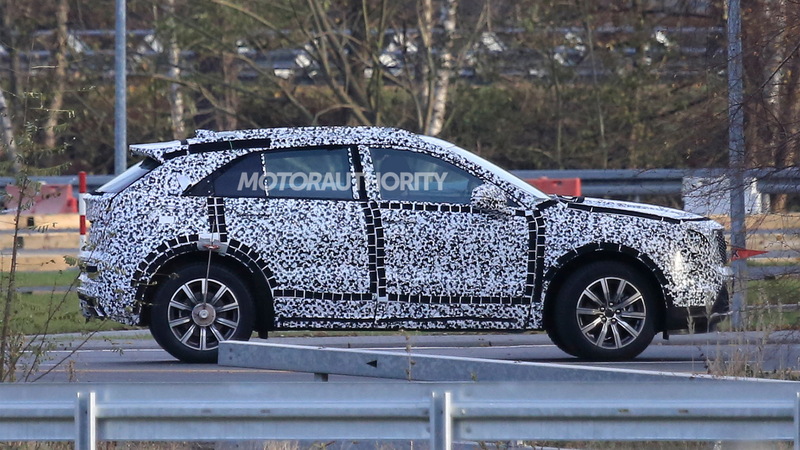 The Cadillac boss, speaking at the 2017 Geneva motor show, said sales of the XT4 will also take place in Europe. With General Motors having finally offloaded its struggling European unit Opel, it appears the Old Continent is now fair game for the automaker’s other brands, namely Cadillac. The XT4’s underpinnings are borrowed from the latest Chevrolet Equinox and GMC Terrain, which means powertrains and transmissions will likely be as well. Look for a turbocharged 2.0-liter inline-4 to be paired to a 9-speed automatic in standard spec. Drive will be to the front wheels, though all-wheel drive should be available. A plug-in hybrid option is also thought to be in the works. Pricing should start slightly above $30k, which is right in line with the competition. This will also provide a nice buffer with the XT5 which starts at $40k. Further down the track Cadillac will finally add a 3-row crossover to its lineup. Production of the XT4 is expected to take place at GM’s Orion Assembly plant located just outside of Detroit. Compact crossovers are typically targeted to a younger, hipper audience, a segment Cadillac needs to tap. A compact, fuel-efficient crossover would also be attractive to buyers in other markets, including every automaker’s favorite land of opportunity, China. As mentioned above, it will also help relaunch Cadillac in Europe. 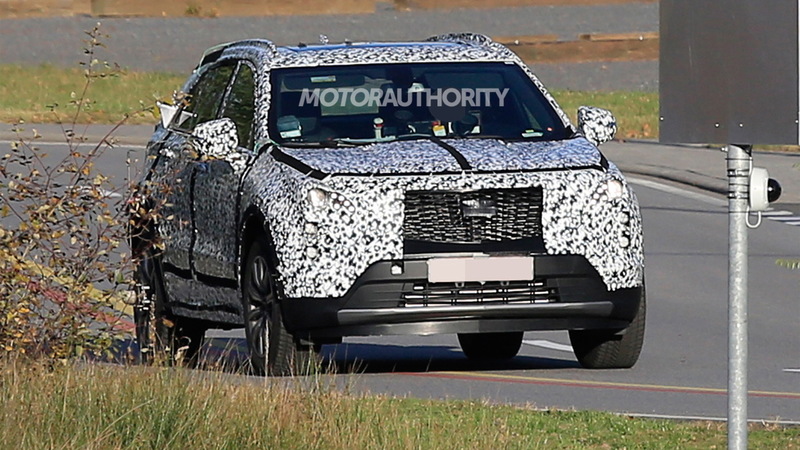 Cadillac 3-row crossover SUV to be an XT6?